Home / Education / Hotel Management / Hotel Management Colleges / What Are The Jobs After Hotel Management? What Are The Jobs After Hotel Management? Hotel Management is a program which encourages students to work in hospitality service establishments in fields such as hotel administration, cruise line, hospital, airline, and MNCs, particularly in the food service, food preparation, marketing, etc. The course provides students to enter the world of hospitality as leaders and managers with a strategic program to business. 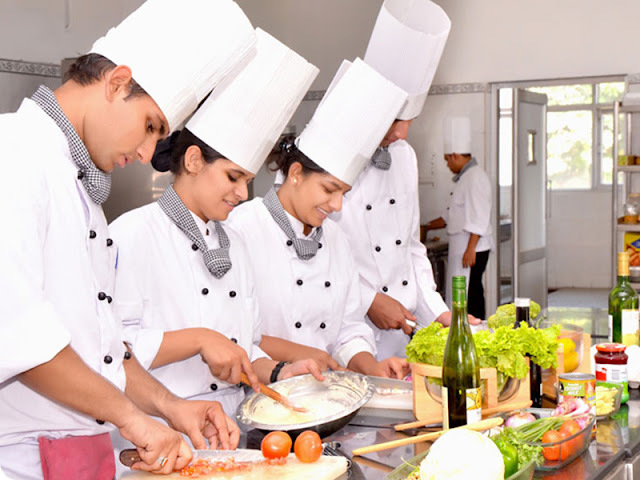 Further, education and professional training achieved in the field of Hospitality services enable the students to become managers in the hospitality service as well. It combines management system with hands-on hospitality courses, professional internships, and a business specialization. If you are completed 10th right now you can join this course now itself. Yes, now you have a chance to study after 10 standards. You have many Hotel Management Colleges in Hyderabad After 10th. The responsible taken by Accommodation manager are the effects to run a business smoothly without any hazards. So that it meets the requirements of tenants, guests or residents. This includes assuring standards of cleanliness and maintenance are supported, budgets are controlled, and any queries are instantly rectified. They also take responsibility to make sure that the teams of staff are well prepared and managed for the customers. A catering manager position who manages the day-to-day services of catering in a restaurant, hotel, resort, or any other part of the hospitality management. Managing a team of chefs and catering assistants, catering managers are tasked with optimizing the quality of the food, service, and production of their outlets. The most important part of the job is delivering good quality at low cost and maintaining high measures of hygiene and customer satisfaction. Event Managers are responsible for plan and organization events. They make sure that run the programmes smoothly and take charge of all aspects of the events. Managing events in the restaurant and hospitality management is not an easy job. Among balancing incoming leads and outgoing contracts to managing day-of setup and staff information. And this is particularly true for restaurant and venue owners who take on event planning in addition to their day-to-day jobs. A hotel manager manages the day-to-day services of a hotel, including reservations, housekeeping, food services, and conventions. In a small hotel, one manager normally makes all the essential daily decisions, whereas, in a large establishment, a specific manager hires several managers to be in charge of particular departments. To manage this post you need also know the soft as well as hard skills. Most of them do an internship to gain experience in this field. Fast food restaurant managers work in a kind of establishments catering for hungry customers who are looking for a fast and tasty fix, including traditional fast food outlets, such as McDonald’s and Burger King, sandwich shops, such as Subway, healthy eating establishing, such as Leon, and places serving international cuisine, such as Wasabi and Itsu. In these, the scope of your response will depend on the type of restaurant and place of the restaurant. Most of the fast food restaurants are franchise services, e.g., McDonald’s or Pizza Hut; others may run as standalone or specialty food outlets, defined to a single location or geographical area. Excellent communication skill should require to manage restaurants or hotels. By fluent English, you can get a job more quickly because travelers from different countries stay in hotels and you have to communicate with them, so it's essential to learn English. 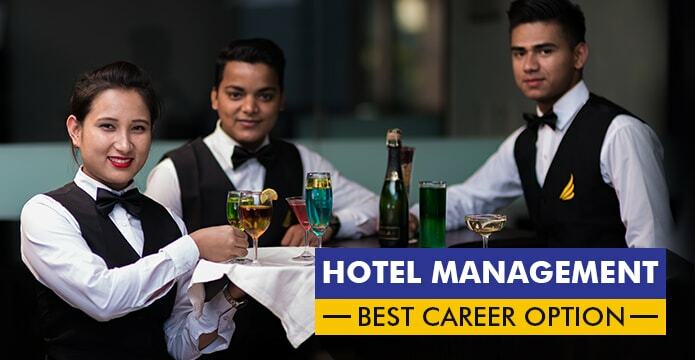 So, if you want to do this course you have Best Hotel Management Colleges in Hyderabad to join with better placements itself.